July 28, 1991, L. G. Crabo. 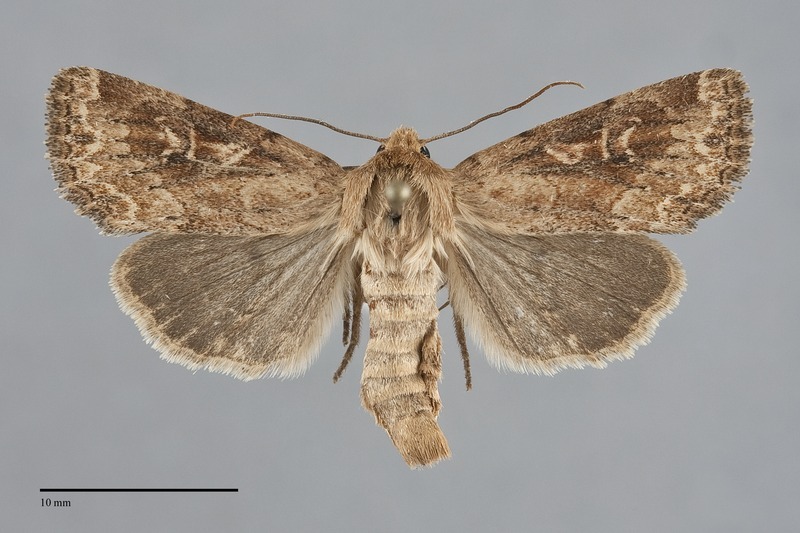 Apamea niveivenosa is a dimorphic medium-sized moth (FW length 15–18 mm) with grayish ochre to light orange-tan forewings with a washed-out pattern in most of the Northwest and a blackish gray forewing with whitish gray veins and pale spots in parts of eastern British Columbia. It flies in dry regions during the summer. 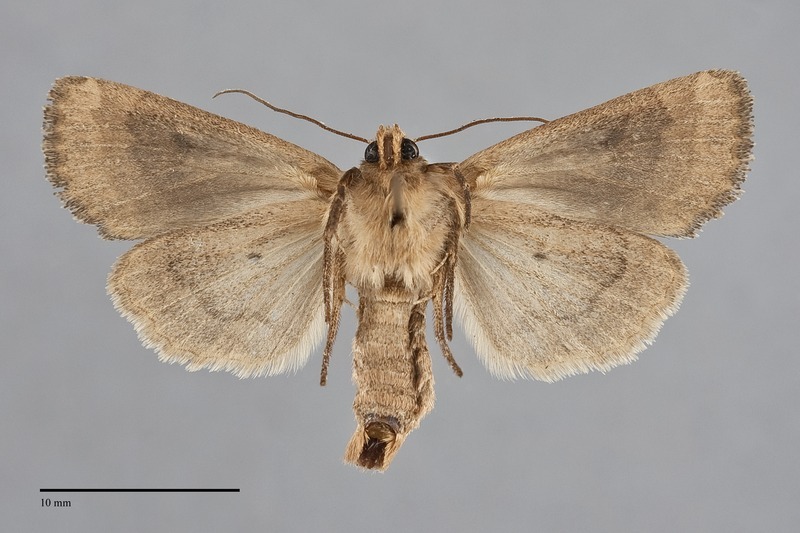 The forewing is relatively broad with a blunt outer margin. The common subspecies A. n. obscuroides is described first. The color is pale ochre-tan to orange-tan with light to moderate gray suffusion except for the filling of the lines and spots. Some lightly suffused specimens have slightly darker and grayer median and terminal areas, and in a few the subterminal and terminal areas are mottled with poorly-defined darker lines and paler interspaces. The lines are barely visible in some specimens, although in some they are double filled with a light shade of the ground color and are distinct. The antemedial line is slightly angled across the wing or weakly excurved with long teeth toward the base on the veins. The median line is gray, very diffuse on the anterior wing and barely perceptible. The postmedial line has a strongly toothed inner component that crossed the smooth outer one. It is drawn toward the base on the costa, smoothly curved around the reniform spot and then nearly straight at a strong angle toward the base. The subterminal line is pale, irregular with an offset below the apex and a moderately strong W-mark on M3 and CuA1. The terminal line is a series of dark lines or triangles between the veins. The fringe is the ground color or checkered with light gray. The spots are usually filled with light ochre and darker ground color or gray centrally. The orbicular spot is a small oval and the reniform spot is kidney-shaped. The claviform spot is absent. In the striped nominate subspecies the ground color is the same, but the veins are light whitish gray on the entire wing, the interspaces between the veins are gray to black, the spots are outlined in dark gray to black, and black basal and median dashes are present. The hindwing is light gray-ochre with light to moderate gray suffusion toward the outer margin and light gray discal spot and weak postmedial line. The gray suffusion is heavier in subspecies A. n. niveivenosa. The fringe in both forms is light ochre. The head and thorax match the forewing or are slightly darker. The male antenna is weakly biserrate. 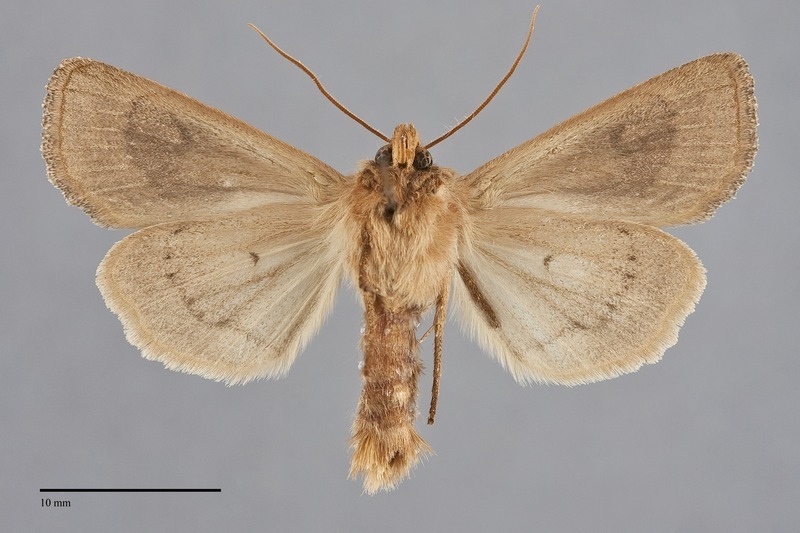 This species can usually be identified by its pale ochre or slight orange color with washed out markings that often have a slightly mottled appearance of the distal forewing with a distinct pale subterminal line. Other pale Apamea species with similar color, particularly Apamea lutosa and Apamea inficita, have a gray spot in the lower reniform spot that is lacking in A. niveivenosa. It also resembles Resapamea innota, particularly some pale tan and gray specimens that fly with more typical darker red-brown ones. 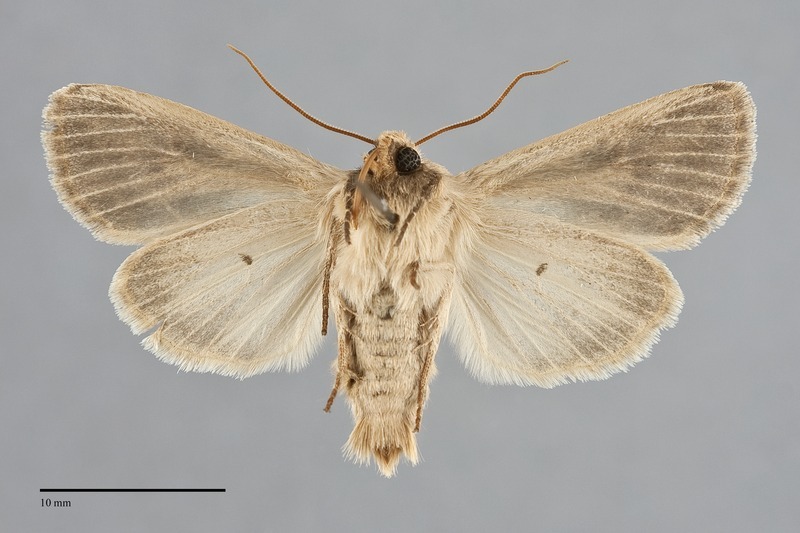 These can be quite similar but differ in having a small pale-filled orbicular spot without a darker central spot, a paler reniform especially the lateral portion, and a more uniform gray hindwing with a gray rather than luteous fringe. Some specimens of Nephelodes minians in the tribe Tholerini are also similar. They have fine hairs on their eyes unlike A. niveivenosa, and males have a wide bipectinate antenna. Their forewing pattern is much less distinct than that of A. niveivenosa, especially on the distal wing, and the hindwing is paler with a gray shade confined to the marginal area. 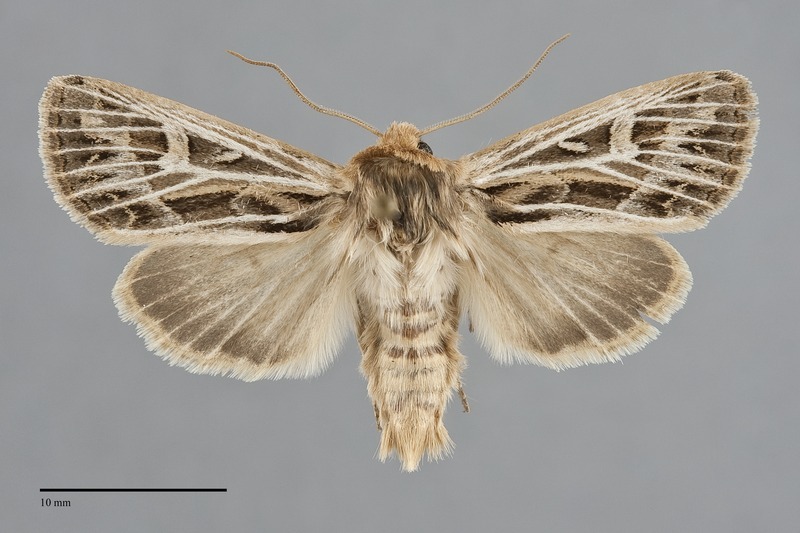 The striped subspecies A. n. niveivenosa is very distinctive and cannot be confused with any other moth in our area. This species is widely distributed in open grassland and prairie habitats. In the Pacific Northwest, it is moderately common on dry, open sagebrush steppe, in juniper woodlands, and in open ponderosa pine forests at low to middle elevations east of the Cascades. It occurs near shallow alkaline lakes in south-central British Columbia. 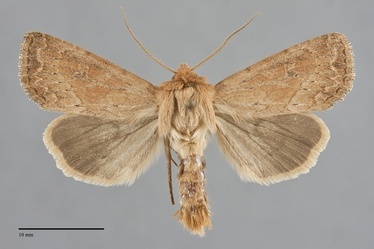 However, it is also a major agricultural pest species in the Pacific Northwest, and frequently expands into massive epidemic outbreaks in cultivated grain and grass seed crops east of the Cascades. Apamea niveivenosa is found in the dry interior of our region as far north as the southern Cariboo Plateau in south-central British Columbia. It has not been found west of the Cascades Mountains. The western range of A. niveivenosa extends south to eastern California in the vicinity of Mono Lake, extending northward from the Northwest to the south-central portions of the Canadian Prairie Provinces and south-central Northwest Territories. The distribution extends east in a narrow north-south band near the Canada-United States border, passing through the Great Lakes region to the St. Lawrence Seaway and Nova Scotia. This species is a burrowing cutworm that lives several inches deep in the soil. It feeds on grasses (Poaceae), and is a major agricultural pest of grain and grass seed crops east of the Cascades. However, it is intolerant of water-saturated soils, and can not survive winters west of the Cascades. Apamea niveivenosa flies during June and July in the Northwest. It is nocturnal and comes to lights. 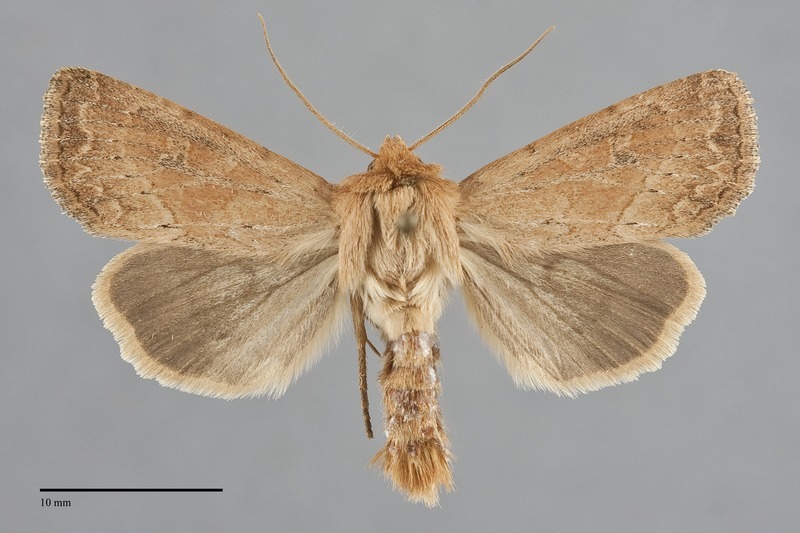 This is a major agricultural pest species in grain and grass seed crops east of the Cascades. Historically, it has caused massive damage to young wheat crops, and it is a chronic pest in grass seed crops such as Kentucky blue grass (Poa pratensis) throughout the Pacific Northwest east of the Cascades. It frequently builds up into massive epidemic outbreaks in such crops.